Home Improvement: Does It Add Up? Though often considered synonyms , the words 'money' and 'value' are not always measured the same way when considering the sale price of a home. Something which might be of great value to a seller may be of little, or even negative, value to a buyer. If a buyer has small children the sellers prized pool might be seen as a huge safety hazard. And, certain renovations or improvements, though they may be costly, may add little or nothing to the profit in the sale. Some improvements can even cut into profits. Experts have pointed out that projects such as sealing an asphalt driveway or putting up drywall in a basement laundry room do have value. However, that value does not necessarily translate to a higher potential profit as the potential sales price of the home might not increase at all, or increase less than the cost of the improvement. For example: Assume a kitchen renovation may cost the homeowner $10,000.00, but the impact on the potential sales price is only $5,000.00. That figures as a loss of $5,000.00 when included in expenses and profits of the sale of the home. So, if the carpets are in good shape, and the bathrooms are functional and clean, the decision to renovate may not make financial sense. It might be best to paint those purple cabinets instead of replacing them. If sales of the home is the goal, one must research how much the considered renovation will cost, and how much it will add to the potential sales price of the home. Contact a Real Estate professional for help. If the home owner intends to remain in the home for at least a few years the cost of renovation is less of a factor. A kitchen renovation for one who loves to cook, or the addition or updating of a pool will make more sense if you're planning to stay there to appreciate them. Living in a home you enjoy over time is more important than the profit or loss in the sale of the home at a later date. Again, considering re-sale, a home that has been properly maintained will have not only greater value, but also be worth more money to the buyer. Don't put off needed repairs and updates out of a concern for the return on the investment. For example: A home that has needed a roof replacement for 10 years may potentially experience damage and deterioration beyond the roof, into the roof sheathing, interior ceiling and wall coverings, and could potential begin to harbor mold. The losses in repair costs will be much higher than just the cost of replacing the shingles before greater damage occurs. Even if the cost of improvements may not translate into greater profits they can influence how quickly the home sells. Homes that have recent renovations often present better, and thus sell faster. But, be cautious as strong colors and bold choices will not always fit the taste of your buyers. Spending money on a true improvement can translate into less time waiting for an offer. And, though you might not see a return on the investment in dollars, you are more likely to see it in time to a sale. If, however, you are not in a hurry, it might be advisable to make the minimum necessary financial outlays to keep the home in solid shape just as it is, and be patient. Once again, consulting with a real estate professional should give you access to ideas and possibilities that will help you based on your unique circumstances. A proven tactic to get a better idea of what your home needs to be ready to sell is to hire a home inspector. 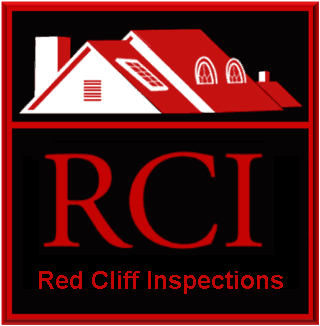 Hiring a certified and competent inspector is a great way to get an unbiased assessment of the condition of your home. The International Association of Certified Home Inspectors defines a general home inspection as 'a non-invasive visual examination of the accessible areas of a residential property (as delineated below), performed for a fee, which is designed to identify defects within specific systems and components defined by these Standards that are both observed and deemed material by the inspector'. Armed with the information provided in the inspectors report, decisions can be made on what priorities should be addressed, which issues can be passed over, and those that can be made a part of the negotiation with the seller.